Aspiring filmmakers and movie buffs from around the state can look forward to the newly announced inaugural Norman Film Festival taking place September 23. The premiere of the new festival, made possible by the Norman Film Foundation, means new exposure for students and professionals alike to have their work screened by viewers making their way to the event in downtown Norman later this year. Norman Film Festival’s goal is “to provide film opportunities for budding artists to exhibit their work. Although we are new, we hope to enhance the local film industry for years to come,” according to the official website statement. The festival has announced its interest in screening local and international films in every genre, meaning that moviegoers can anticipate a variety of films to pick and choose from. Distinguishing awards in multiple categories will be handed out at the end of the festival day, including jury prizes and audience choice. Tickets for single screenings and all-day passes for the event will be available to purchase April 23 through the festival’s official website. Submission deadline for movie makers ends July 2. 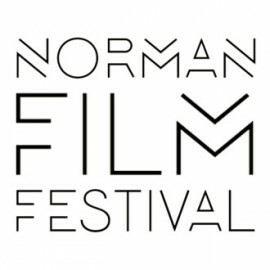 Visit www.normanfilmfestival.com for more info.